MT. 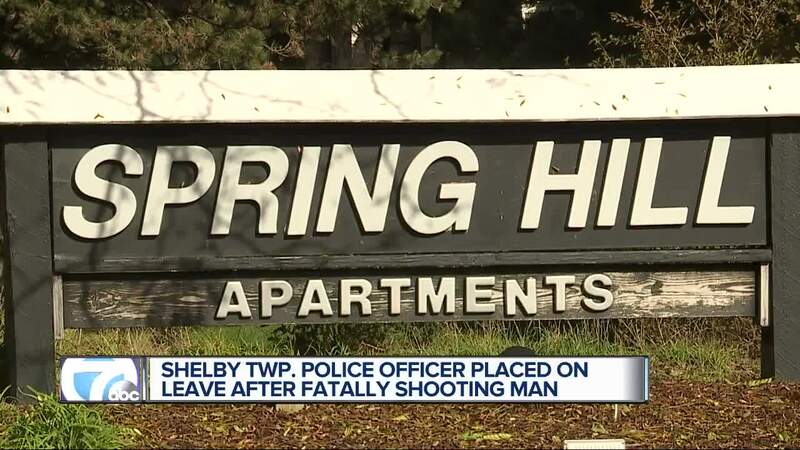 CLEMENS, Mich. (WXYZ) — The Macomb County Sheriff's Office said no charges will be filed in an officer-involved shooting in Shelby Township last year that left a 25-year-old man dead. According to the sheriff's office, they completed their investigation and turned it over to the Macomb County Prosecutor's Office for review and no charges were authorized. The shooting happened around midnight on Nov. 3, 2018, but the incident began a day before when someone reported their 2005 Honda stolen from a home, and the victim's son, 25-year-old Kanwarbir Malhi, as the suspect. She said Malhi didn't have a driver's license and was using illegal drugs. "Another family member was spoken to and stated that Malhi had stated that if police were called, he would not be taken alive and made mention of suicide by cop," a press release reads. Around midnight, a Shelby Township officer saw the stolen vehicle at an apartment complex with Malhi behind the wheel. Police gave him verbal commands, but the report stats he didn't listen and told officers he was armed with a gun. After continuing to ignore officers, the sheriff's office said Malhi got out of the vehicle and made movements towards his jacket pocket. 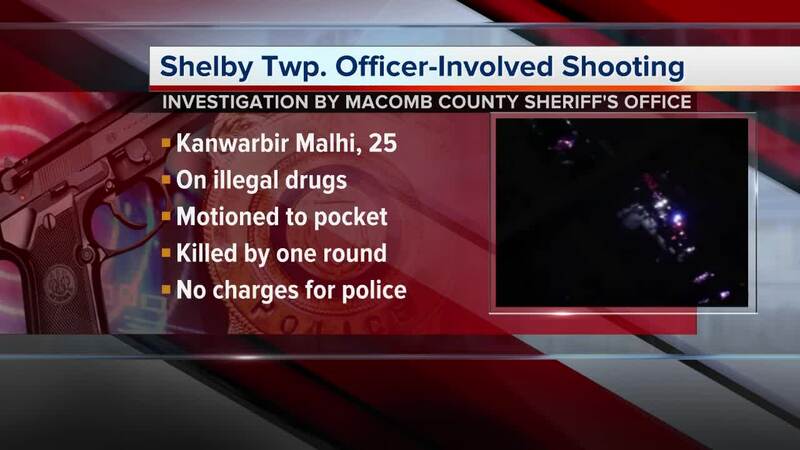 A Shelby Township officer fired one shot from his shotgun which hit Malhi. Officers then administered aid to him and he was transported to Beaumont Troy Hospital where he was pronounced dead. The sheriff's office said seven Shelby Township police officers were on scene when Malhi was shot. While no gun was found, the investigation said Malhi told officers he had a gun and was given numerous verbal commands to show officers his hands. Instead, the investigation said he didn't show them their hands and he made several movements consistent with reaching for the weapon. Investigators reviewed dash cam footage and audio, as well as interviewed multiple witnesses. An autopsy determined Malhi's cause of death as a single gunshot wound, and he was found to have cocaine, morphine and buprenorphine in his system, according to the toxicology report.